Before moving to Virginia 12 years ago, I had spent 4 years in the heart of the Finger Lakes region of New York (where I did my undergraduate work). I was spoiled by the beautiful gorges and the countless waterfalls and cascades that were so easily accessible. 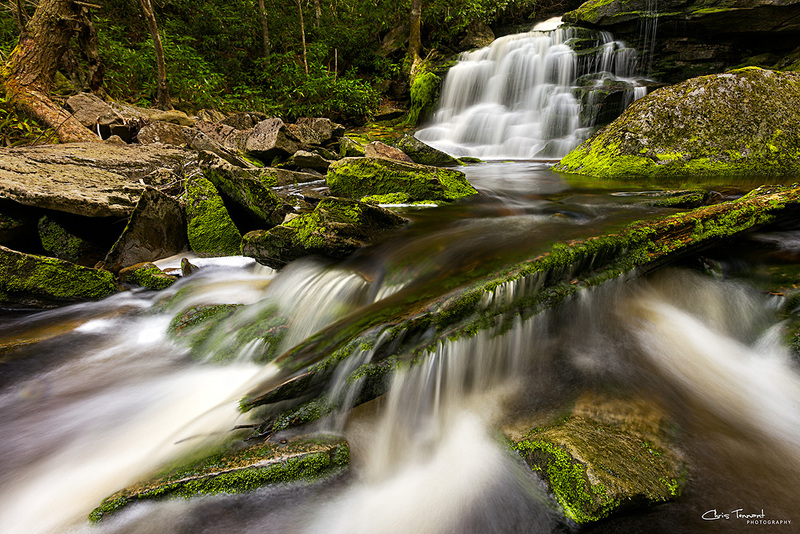 After moving south of the Mason Dixon line my love of waterfall photography never waned, but my opportunities did. 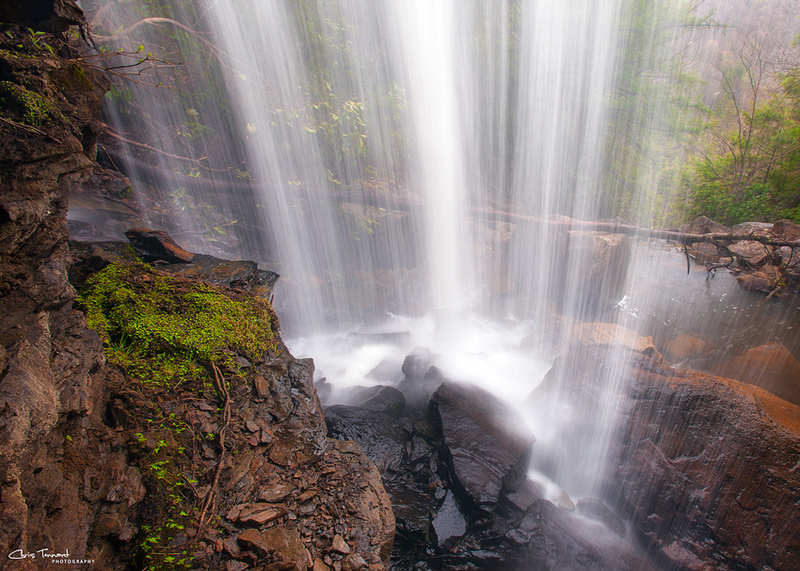 A waterfall requires water and a rapid elevation change. I am surrounded by lots of water, but no elevation change to speak of. 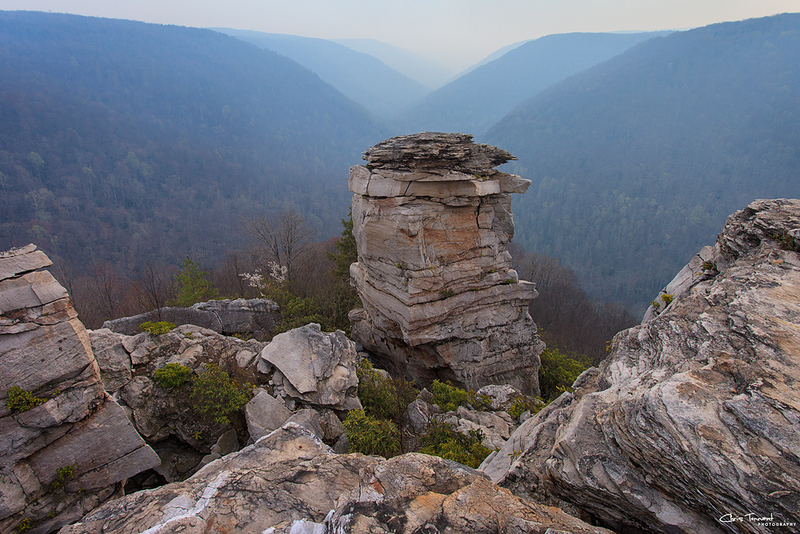 So I was thrilled when I learned about Blackwater Falls State Park in West Virginia. Though it’s still a bit of a drive at 275 miles, the chance to photograph an array of amazing waterfalls makes it worth it! I first made the trip at the end of April 2012. The spring greens in the mountains were vibrant and there was just the right amount of water flowing. Everything was perfect – except for the clear, cloudless sunny skies. It’s extremely difficult to photograph waterfalls with direct sunlight on them; technically (to capture the full dynamic range) and aesthetically. I still came away with some photographs I am proud of – in fact, one of them won the Grand Award from the West Virginia Land Trust. Elakala #2 falls in Blackwater Falls State Park. But I wanted another chance so I headed back at the end of April – exactly 1 year later from the first trip. 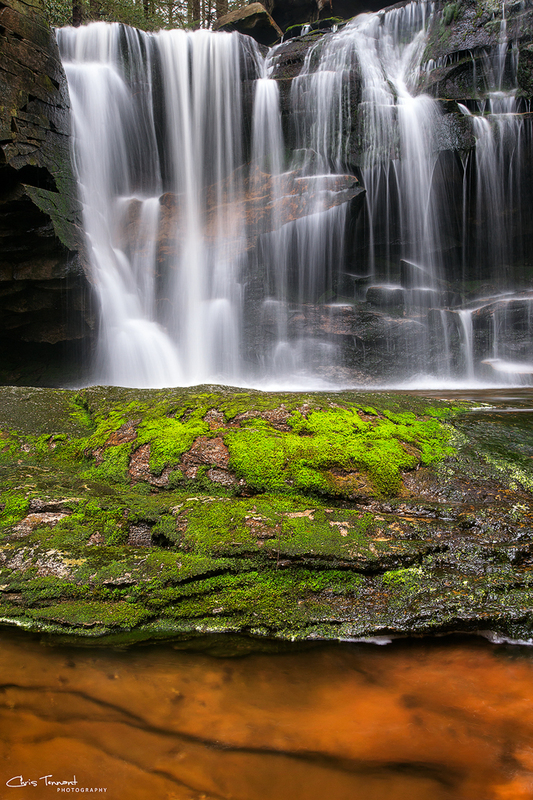 This time it was overcast and drizzly – perfect for waterfall photography. But I failed to realize that last year’s mild winter was why everything was so green for my 2012 visit. One year later it looked like it was still the middle of December. The other thing I did not count on was the destruction due to super storm Sandy. 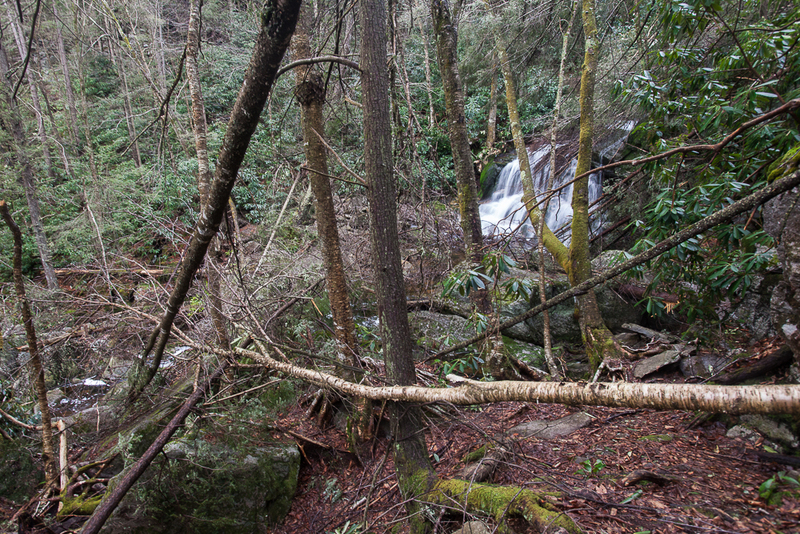 The downed trees and debris in the gorges and waterfalls was alarming. I’m afraid the very photogenic Elakala #2 falls (above) will not be the same again for some time. Though from a different vantage point than the photograph above, it’s clear that these falls will not be the same for some time. The lack of foliage in the mountains, the debris and the drizzly conditions (that occasionally became a downpour) forced me to abandon my trip a day early. While disappointed, on the other hand it means I’ll just have to head back again for another chance to photograph this marvelous area! Wanting to avoid a “compositional rut”, I was able to get a unique vantage point from behind these falls. The vibrant green moss contrasts with the orange rock below. One of the many lesser known falls in the park. This one requires a fair amount of scrambling to access. 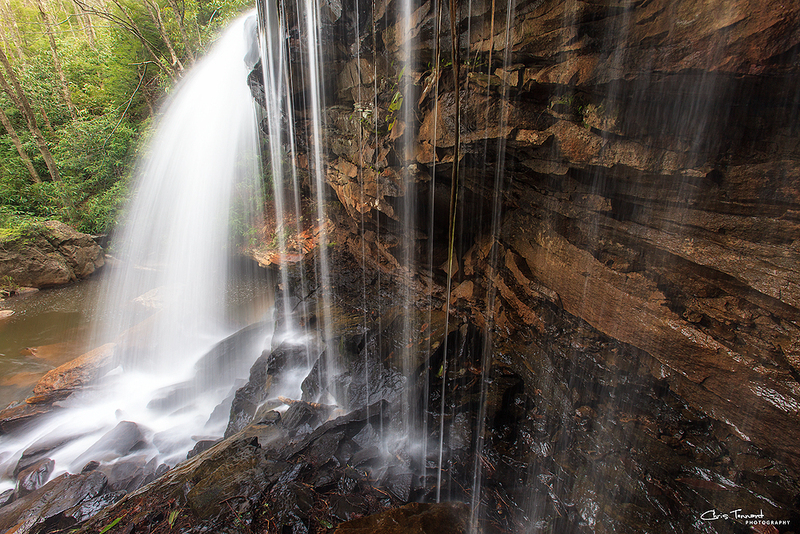 In addition to waterfalls, there are grand vistas to photograph as well. On this visit, rather than the warm tones of a sunset, I was startled to find a blue haze caused by smoke from a wildfire.